The program is bound by the Ethical Principles of Psychologists and Code of Conduct set forth by the American Psychological Association (APA, 2002). In addition, we are bound by other ethical and professional principles promulgated by APA. Please see the reference list at the end of this section. Any breach of any part of these principles is grounds for dismissal from the program without further qualification regardless of course work, research or other academic achievement. Each student receives a copy of the APA Ethical Principles in Psy 801 History and Ethics. 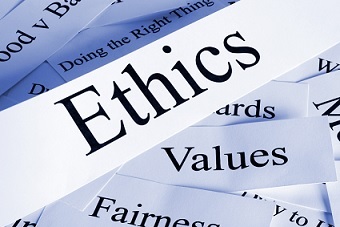 The Ethical Principles can also be found at http://www.apa.org/ethics/code/index.aspx. Professional Behavior The following is presented as a way to avoid incidents that may reflect unfavorably upon the student, the program, and/or the universities. Students may not engage in any professional activities on or off campus without the prior approval of their Guidance Committee and the Co-Directors. Failure to obtain proper approval may jeopardize the student’s standing in the program. Under no circumstances are students permitted to treat clients privately without supervision, even if they are licensed to do so as another mental health professional. Students may take clinically related courses, in addition to the JDP course requirements, at SDSU or UC San Diego with the approval of their Guidance Committee and the appropriate Co-Director. If tuition for these additional courses is not covered by the annual program allotment, the student will be responsible for the expense. If the student wishes to take a special course at an institution other than SDSU or UC San Diego, the student must have the approval of the Guidance Committee and both Co-Directors. All expenses for such a course will be the student’s responsibility. The professional use of university facilities is limited to those functions that are a part of the student’s training. Students may not obligate either university financially without prior written permission from the Co-Directors and, if necessary, the graduate divisions. Students may not submit a paper in fulfillment of a class or research requirement if that paper, or one similar to it, was submitted in fulfillment of any other course or program unless the teachers/supervisors involved give approval. Students are required to act in accordance with the American Psychological Association’s ethical principles and standards for providers of psychological services. Violation of these principles and standards may constitute grounds for dismissal from the program irrespective of any other consideration. More information regarding grounds for dismissal can be found at http://clinpsyc.sdsu.edu/grounds-for-dismissal/ .